Pay as you go insurance, as the name suggests, offers an alternative to annual policies by allowing policies of a shorter, or more flexible length - sometimes as little as an hour. A relatively new type of insurance, pay-as-you-go insurance is closely related to “black box insurance” (see our telematics insurance guide here) but doesn't tie you down for a full year, giving you more flexibility. There’s a glut of InsureTech companies aiming to change the way we buy insurance by offering insurance policies on-demand. We’ve profiled a few of the companies aiming to disrupt the insurance world as we know it with their innovative forms of insurance. 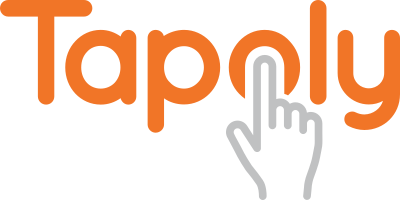 Tapoly “insurance on tap” provide on-demand insurance for “freelancers, sole traders, contractors, home letters, equipment lenders and anyone else who is part of the sharing or gig economy”. Aimed at the sharing economy, it’s clear to see that Tapoly is trying to crack the market for the Airbnb renters, Uber drivers, and others whose jobs are increasingly not covered by regular insurance policies. The founder, Janthana K, founded Tapoly after struggling to get short-term insurance when she let her room via Airbnb. They’ve aimed to make it easy to get short-term insurance. Insure your room and your contents via the Tapoly app, and you’re covered immediately - and just for a weekend or two. As of May 2017, Tapoly is still “coming soon” but we’ll be the first to have Tapoly reviews when they launch! Cover for when the car is being driven, not when it’s parked. “Insurance you control”- Cuvva believes that insurance should only be paid when the car is being driven, and offers discounts when the car is parked and (as there is less risk). It’s useful for car sharing, too. Had too much to drink, but your friend is able to drive you and your car home? Cover them immediately using the Cuvva app for short-term cover on the way home. One can imagine the nightmare of the alternative - calling an insurer at 2am in the morning and trying to arrange an hour long policy. A modern approach to insurance which aims to be convenient and flexible - it’s easy to imagine how useful it could be. Had a policy already? Share a Cuvva review today. Tego’s main market is covering courier and food delivery drivers while they’re at work. Reading between the lines, this is additional cover for Deliveroo and Yodel drivers. In what is still an up-and-coming industry, insurance companies differ wildly on whether they cover usage of a car, bicycle, or person when the policyholder is working for one of these delivery companies. Tego offers on-demand insurance option, payable in single hour chunks, meaning that an annual policy isn’t needed, if, for example, only a driver is only working a 4-hour Deliveroo shift on a Saturday. Key point - everyday insurance for a vehicle is a requirement of using Tego, so think of this more like additional cover for use while working - not a quick-fix insurance policy for just a few hours a week. Had an experience with this company? Read or write Tego reviews today. 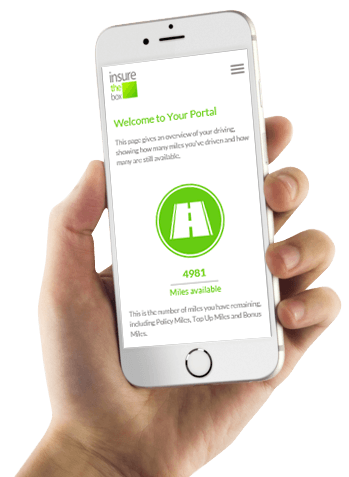 One of the better known insurance companies, insurethebox’s take on pay-as-you-drive insurance only comes into play once the allocated miles on a traditional annual policy have been used up. The policy then allows drivers to buy bundles of “top-up miles”, which are charged on a per 1000 additional miles driven basis. They can monitor this automatically using their telematics system, which is useful for young drivers or those who might otherwise be on a low mileage policy. Read our insurethebox reviews here. An entirely mobile experience - yes - even when making claims - Trov allows users to insure a multitude of items including common electrics and expensive sports or musical equipment at the tap of a button. Want to swap out an item and insure something else? In a tinder-esque move, just swipe on your item to change whether it’s covered or not. Insurance isn’t always the most glamorous industry, but Trov aims to make it a little more fun. With insurance underwritten by AXA, and a recent $45m in funding, Trov is definitely one to watch. 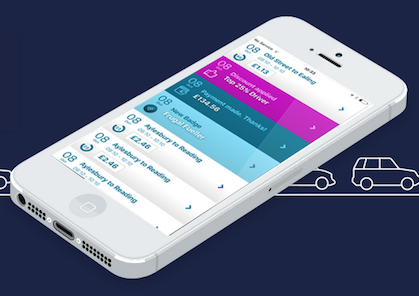 The name gives the game away, but a telematics app which charges drivers based on the distance driven, Just Miles is aimed squarely at lower mileage drivers and could be an affordable alternative to a fully comprehensive annual policy. A combination of telematics device and swish mobile app, it’s not quite pay-as-you-go, but a monthly subscription means you’ll pay for what you’ve driven, not a fixed amount. They're launching soon, so check back later this year when we’ll have Just Miles reviews from people like you. “Flexible, monthly insurance for the things you love” - Back Me Up offers simple insurance for 1-4 items of your choosing. The key selling point is the ability to swap out an item for something else (items up the value of £1000 can be covered) - at anytime. It’s flexible in what it can insure - use cases could be swapping out your bicycle insurance for your camera while abroad, or swapping in your drone for that cool university project. Over 50? Sorry, Back Me Up won’t insure you. Famous for “only insuring millennials” read our Back me Up insurance reviews today. If you’re a low-mileage driver, or have special driving circumstances, or just need a quick ad-hoc policy, a traditional insurance company is not always the most convenient, or cheapest option. While some of these companies are yet to launch their innovative new products, you can always read reviews of telematics insurance, pay as you go insurance policies, and traditional insurance companies on Smart Money People. Had an experience of using an on-demand insurance policy yourself? Share a review of your own and help others who are considering using this new type of insurance, and let us know which innovative insurance apps you use in the comments below. One of these insurers could also take home "Innovation of the Year" in the Insurance Choice Awards!